 January 24, 2019 | Advertising Disclosure | Our Sponsors may be mentioned in this article. 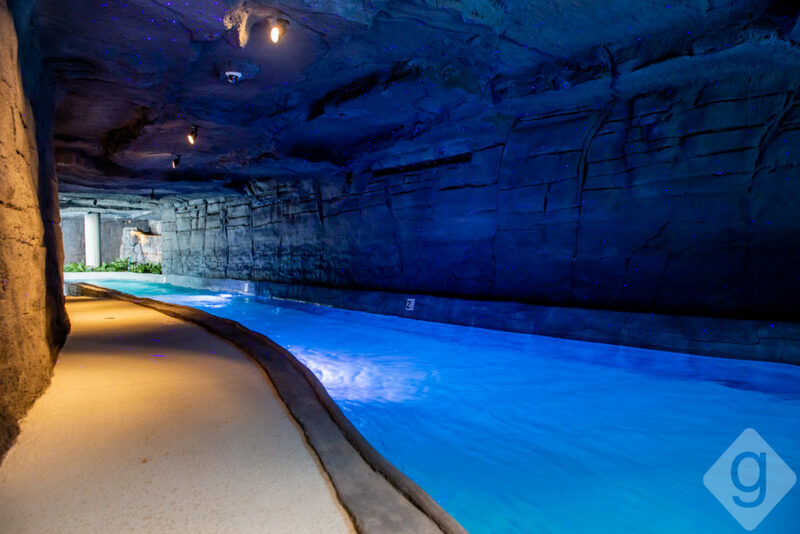 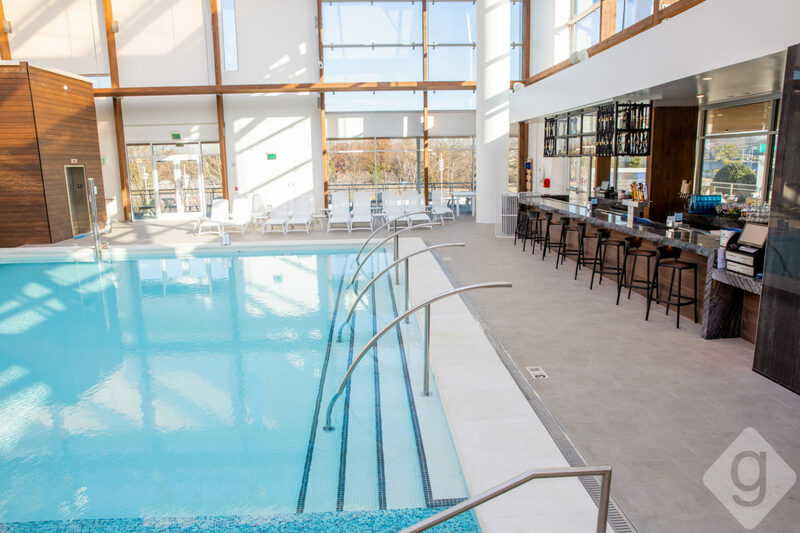 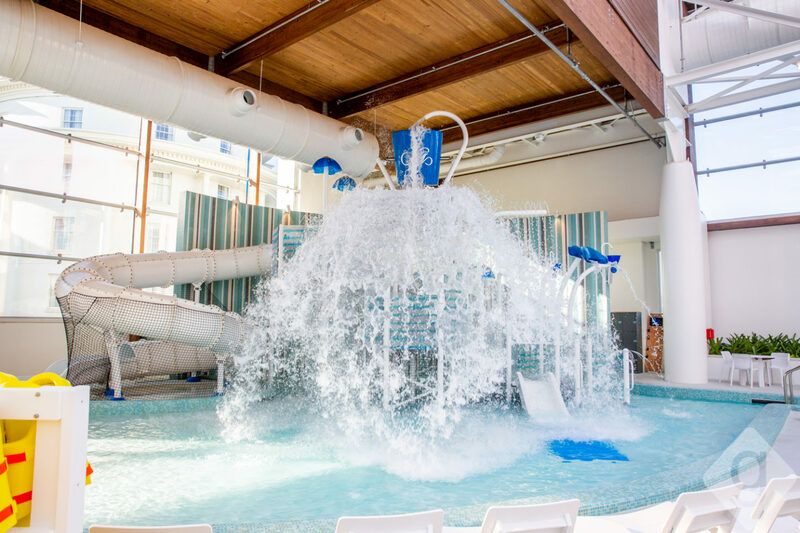 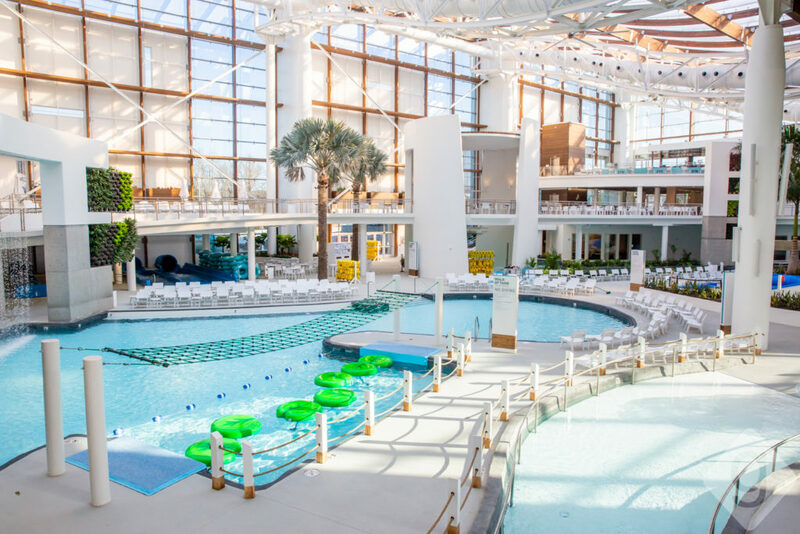 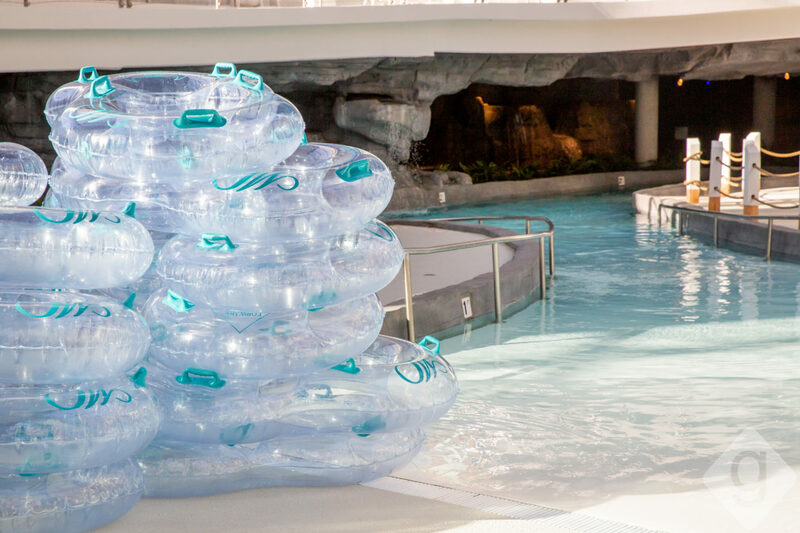 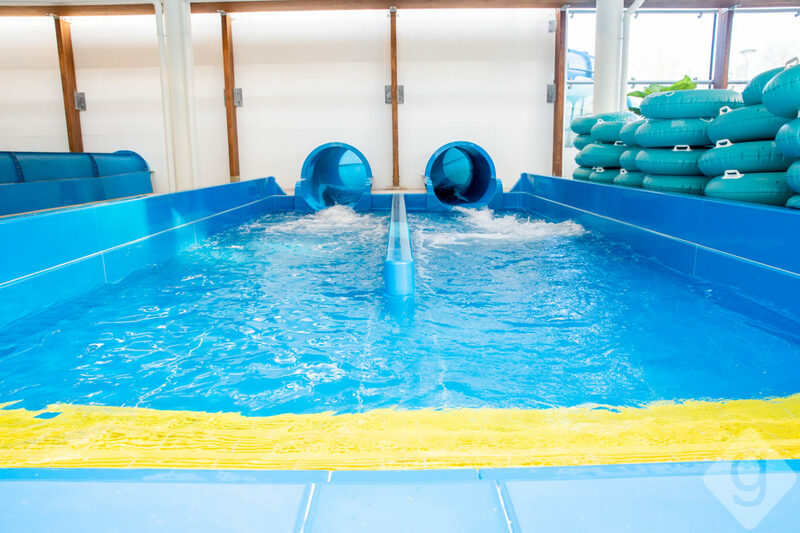 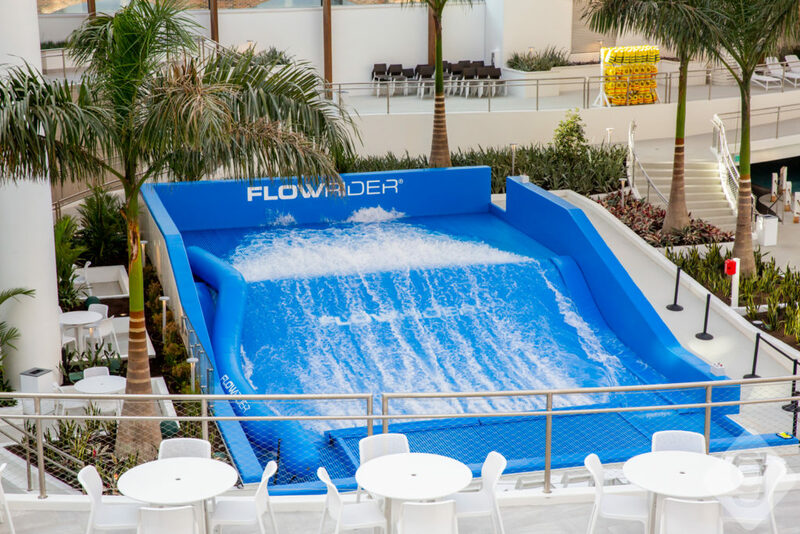 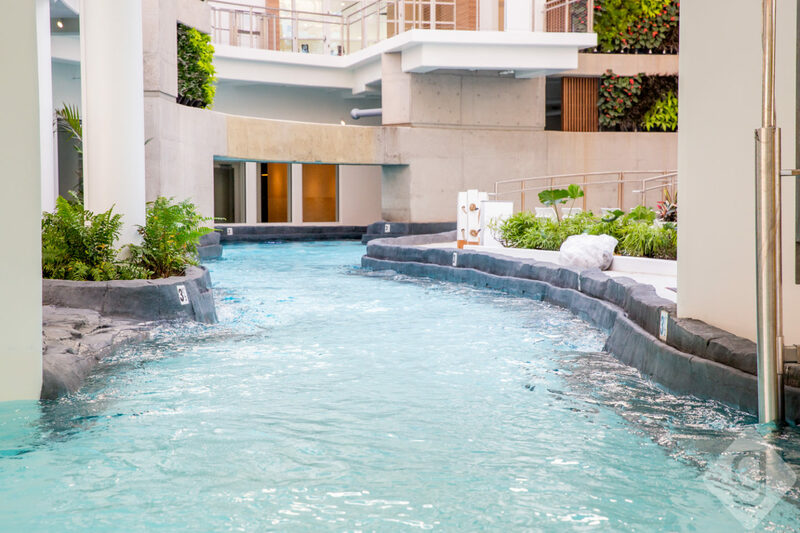 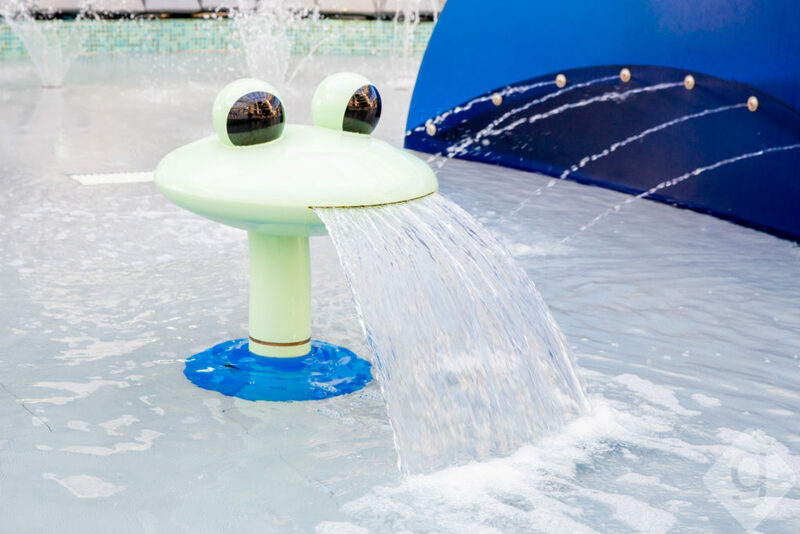 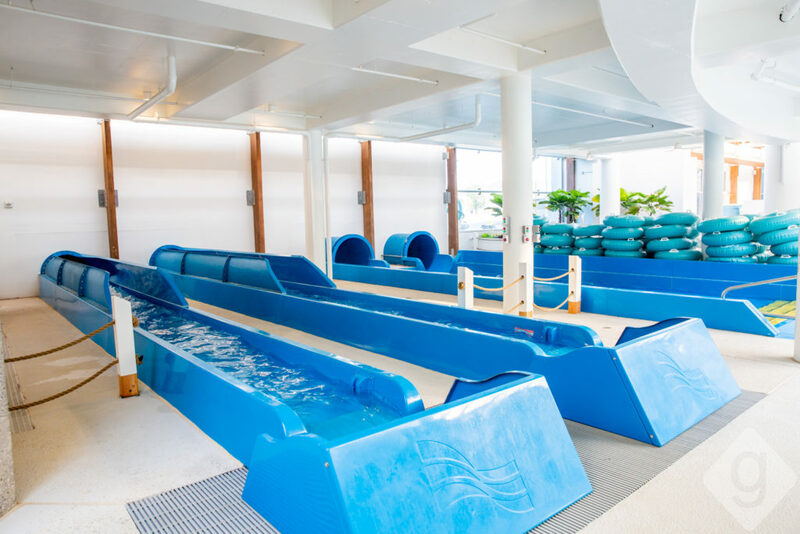 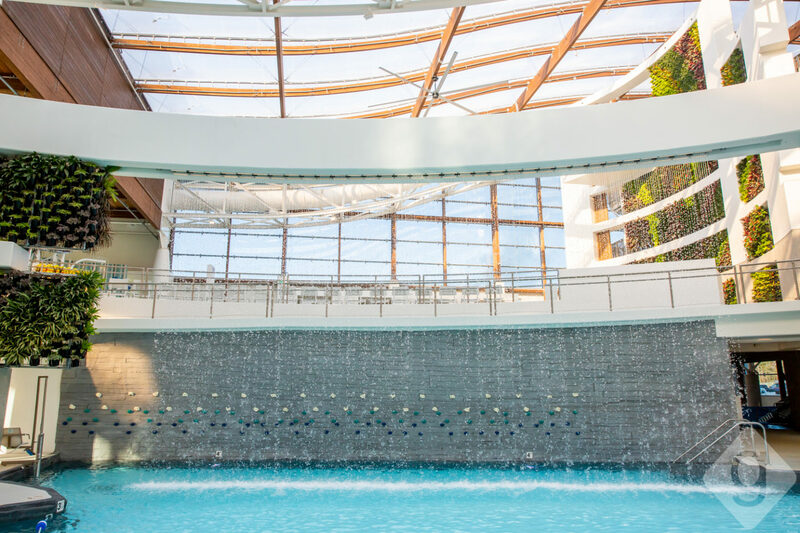 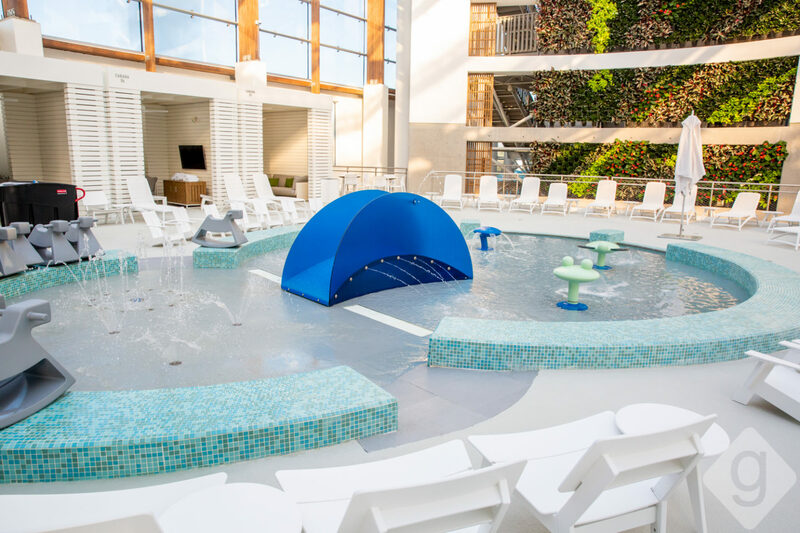 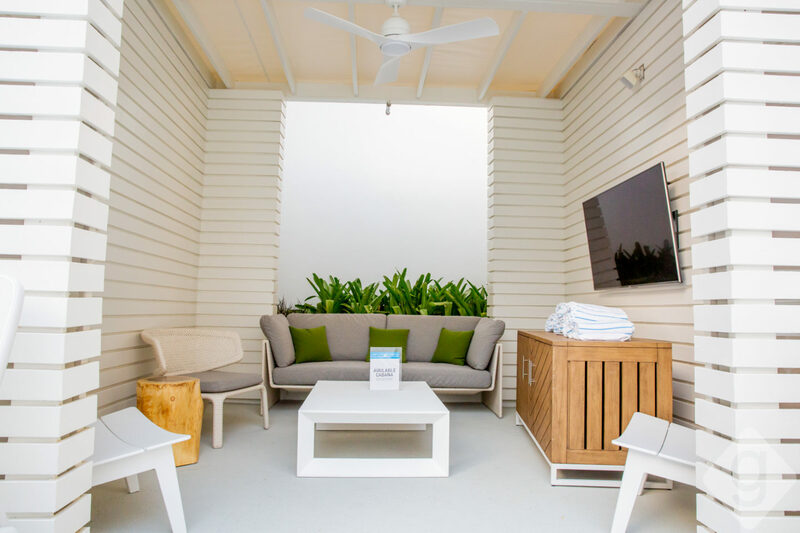 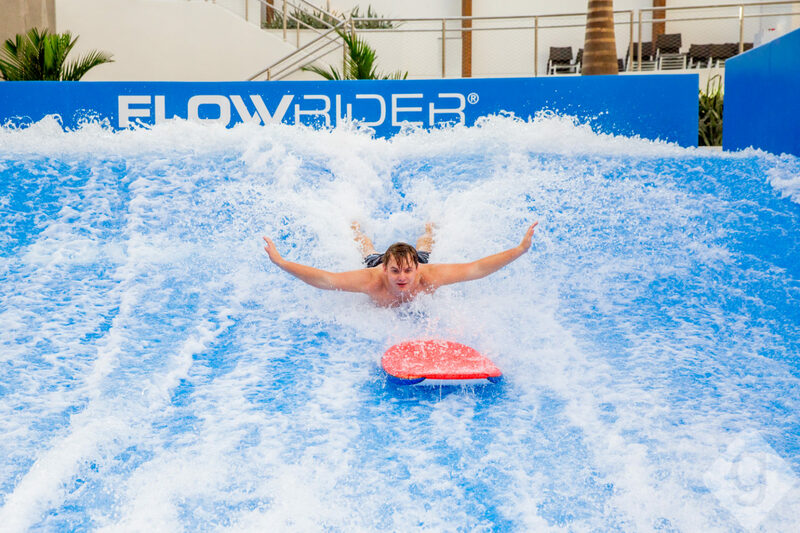 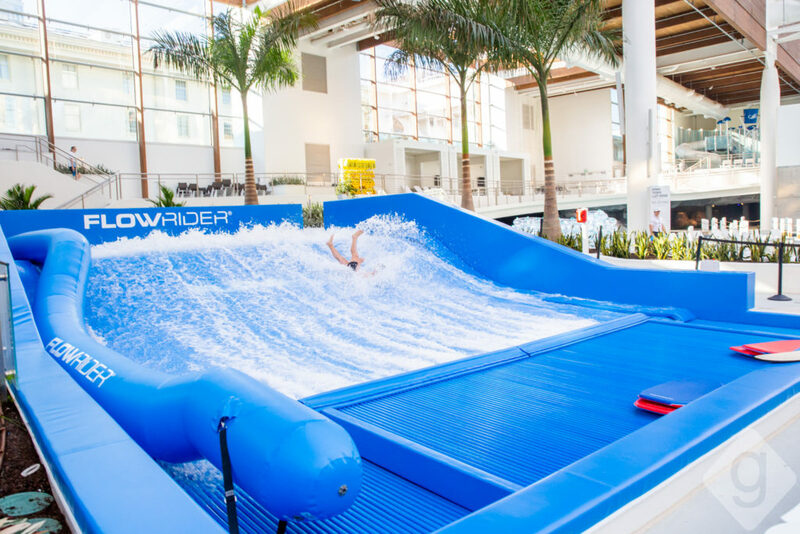 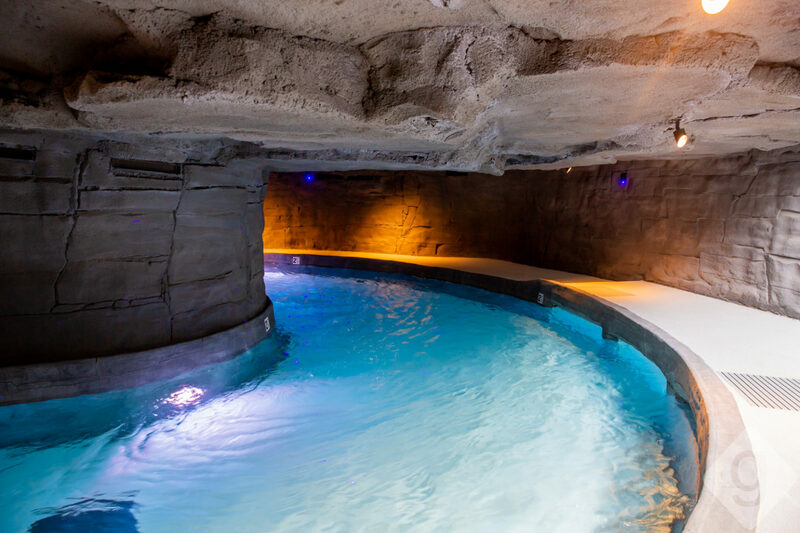 SoundWaves is a brand new indoor/outdoor water attraction at Gaylord Opryland Resort & Convention Center, exclusively available for hotel guests and private parties. 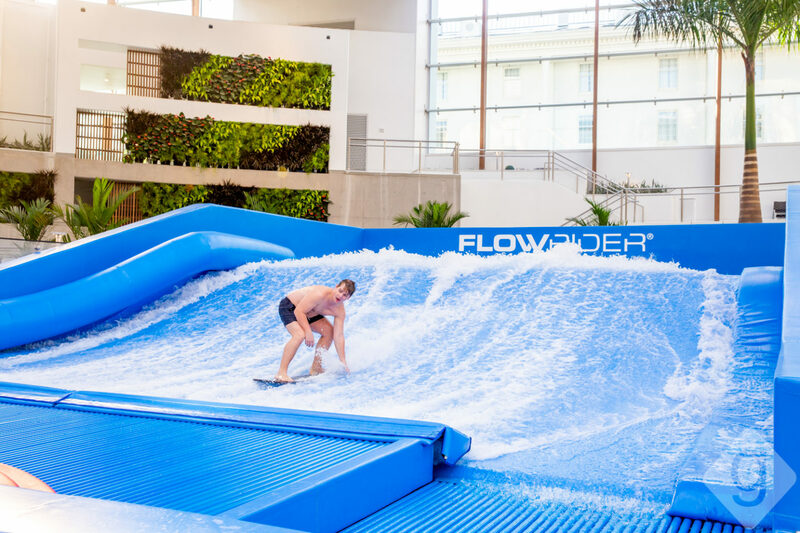 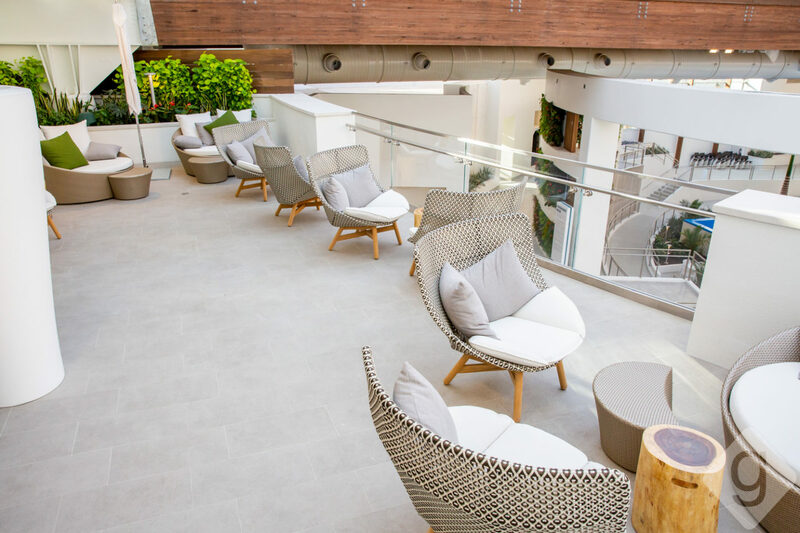 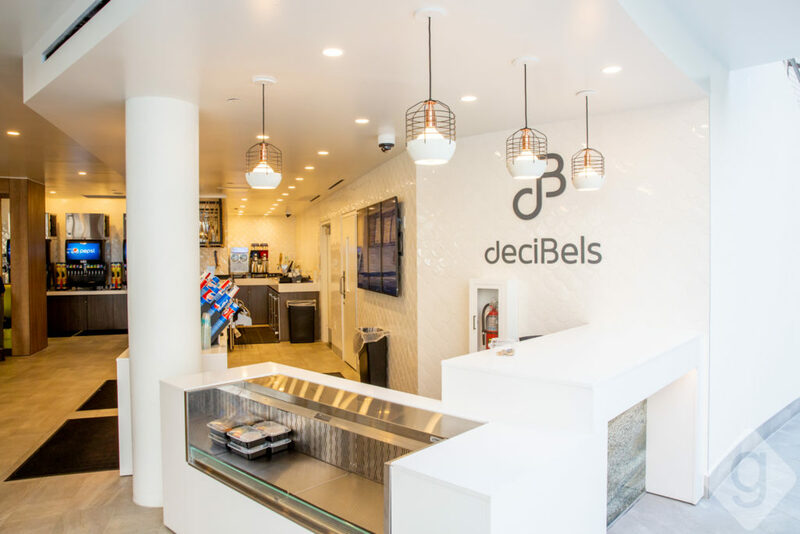 To maintain a comfortable and relaxed environment, admission is only granted to guests who book the SoundWaves Water Experience overnight package or a private party room for 10 to 30 people. 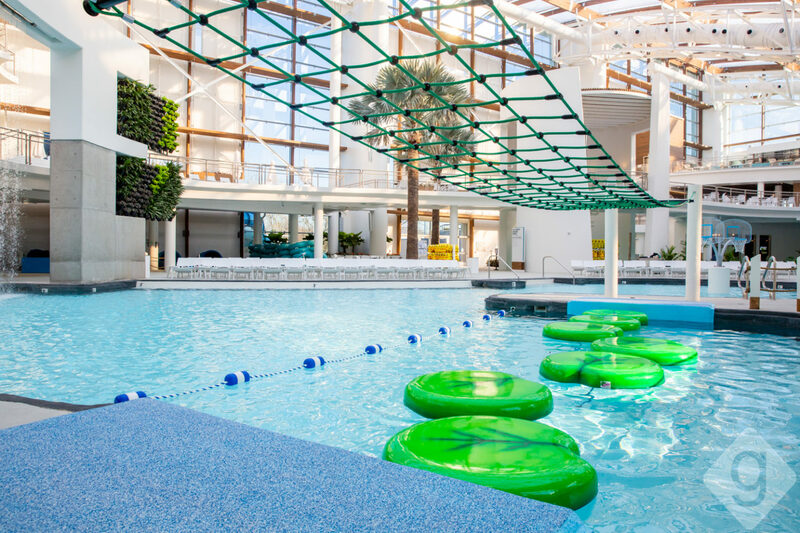 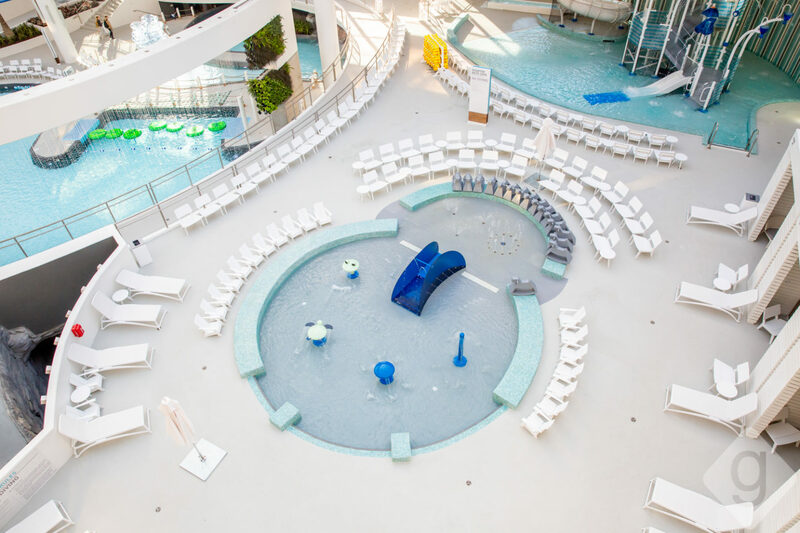 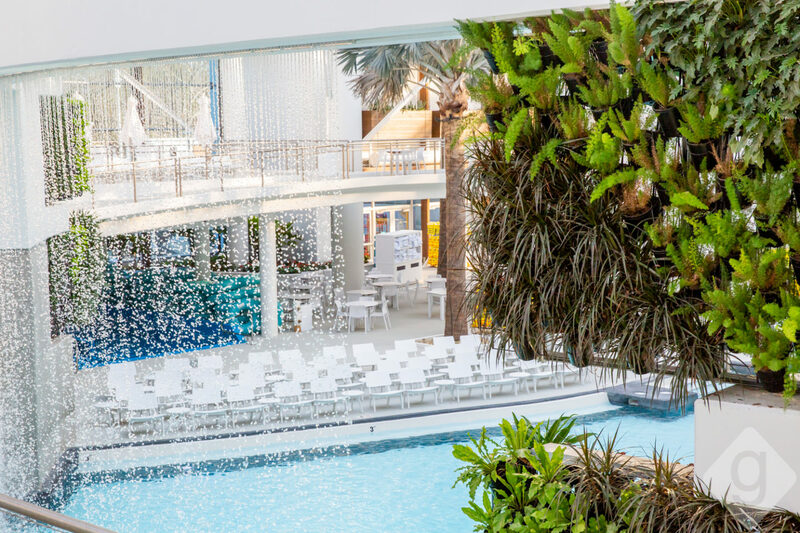 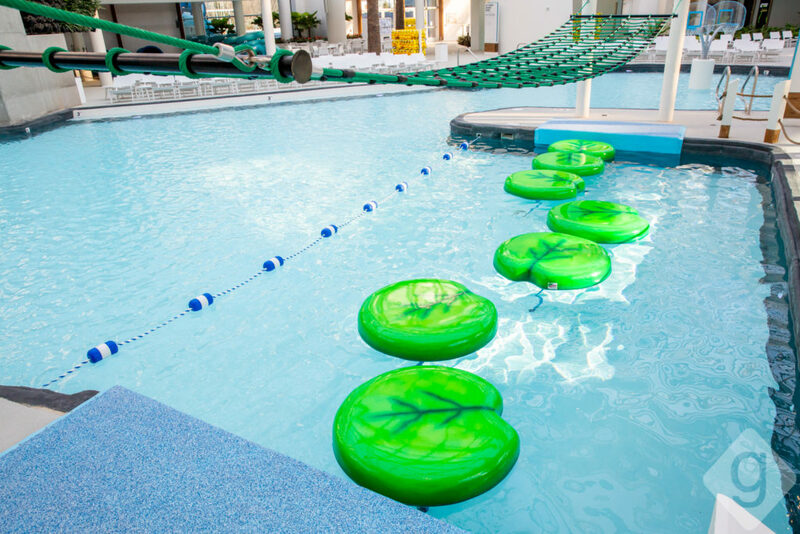 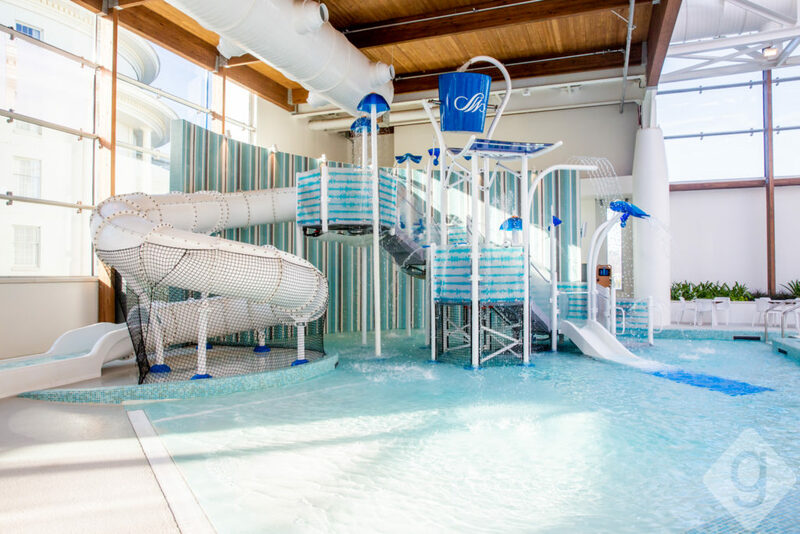 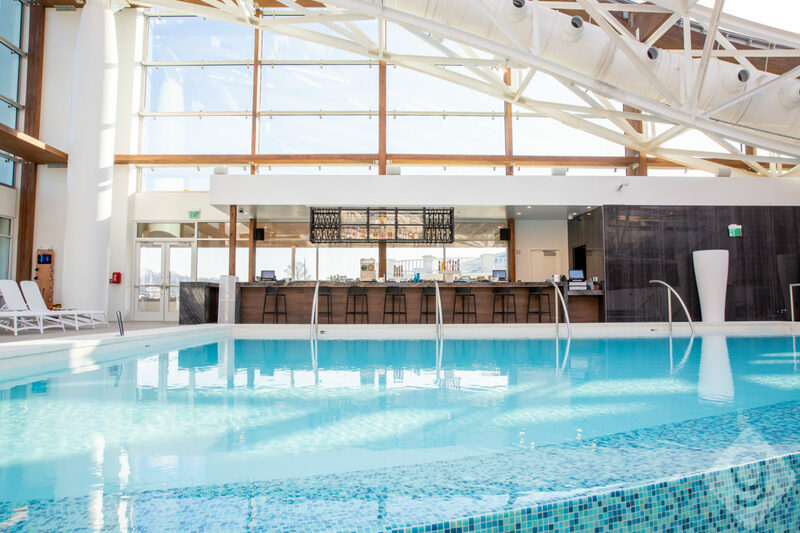 The upscale experience offers a slide tower, FlowRider wave simulator, rapid and lazy rivers, activity pool, restaurant, adults-only pool and bar, private cabanas, and kids area. 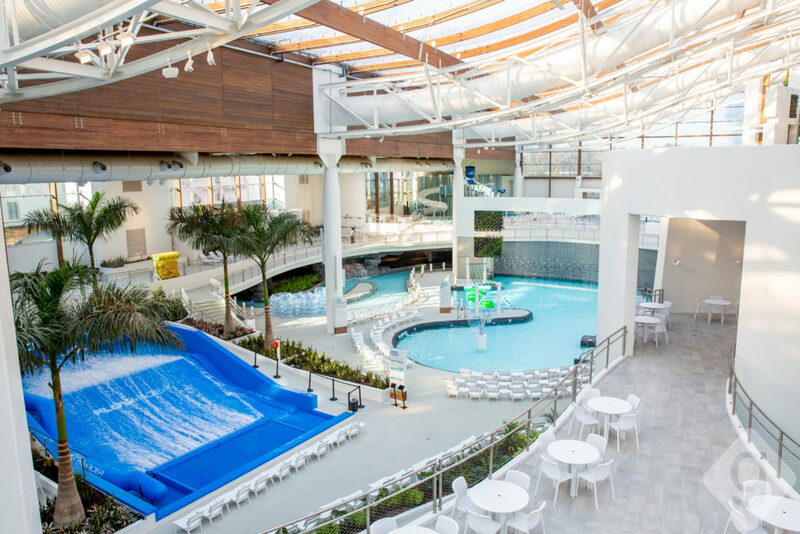 The outdoor area will be completed by mid-2019, and will feature additional waterslides, a wave pool, and more. 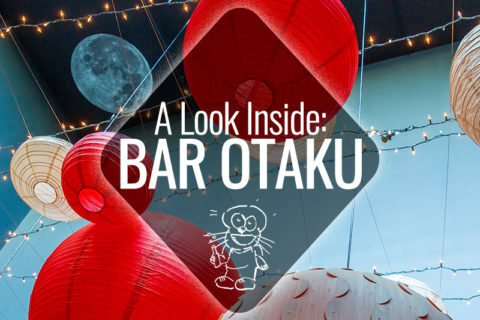 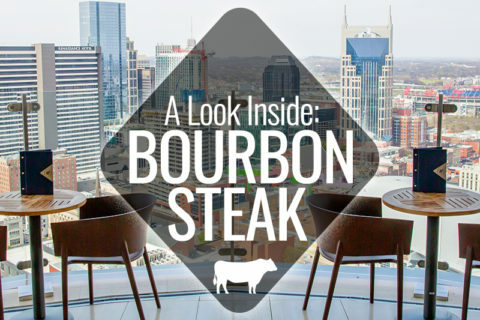 Nashville Guru got a look inside the indoor experience. 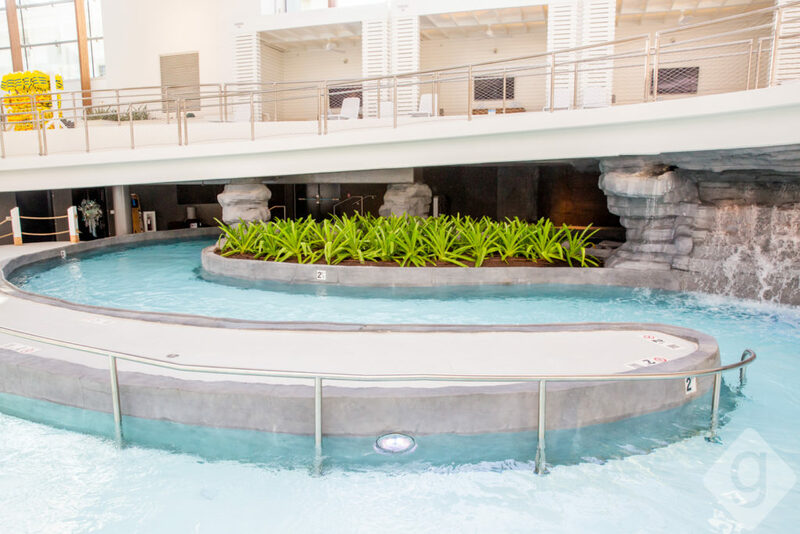 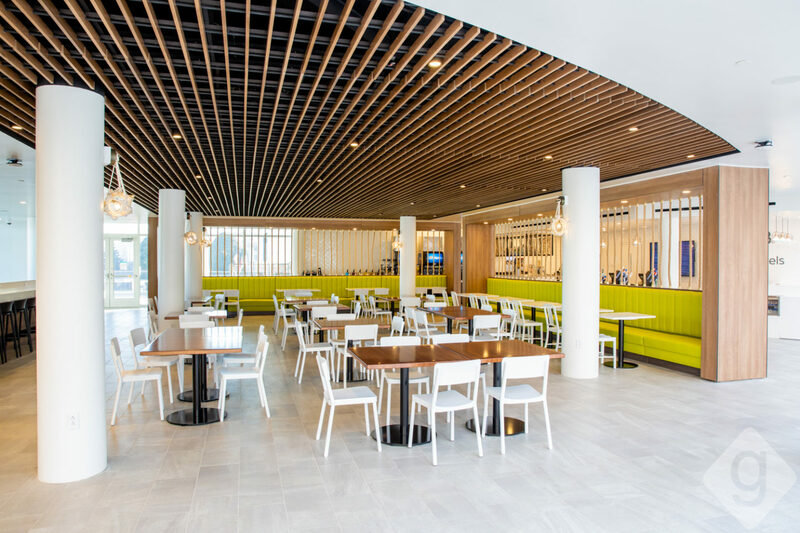 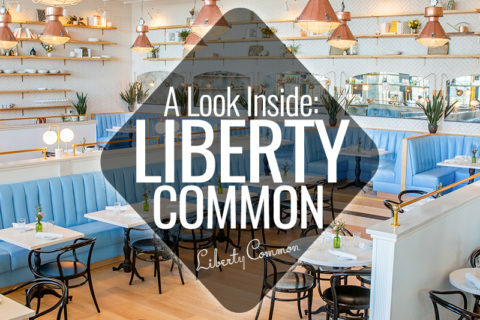 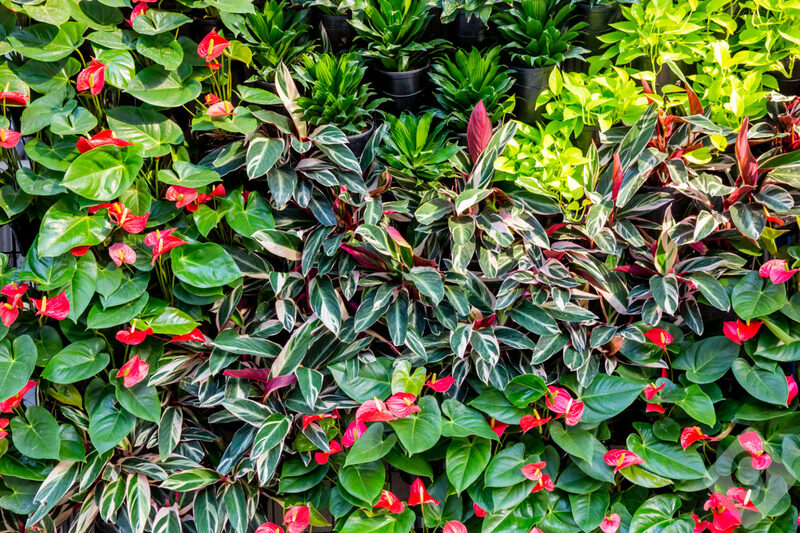 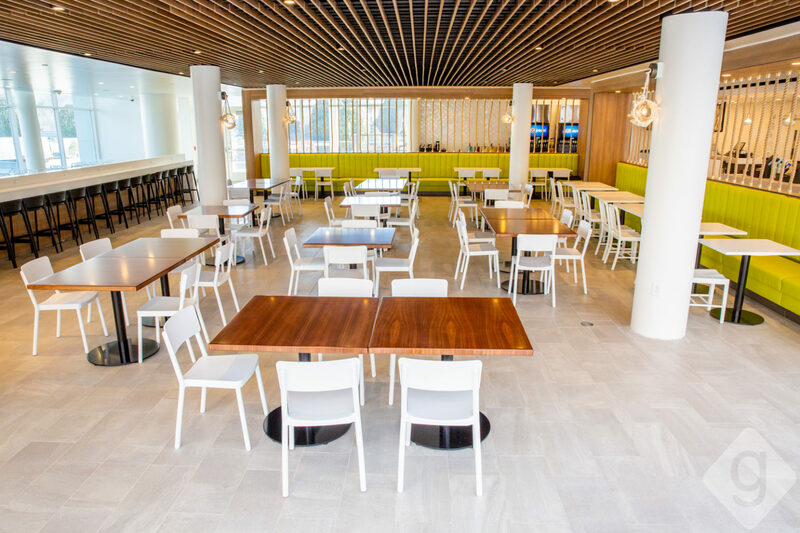 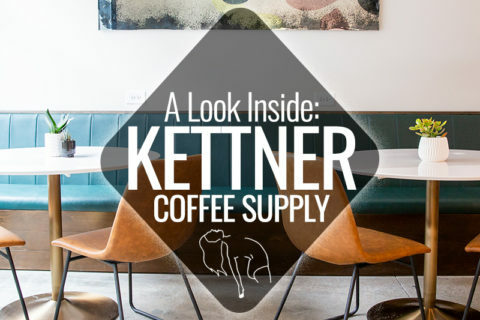 The warm indoor area is kept at 84 degrees year-round, offering a feel of Nashville summer any day of the week. 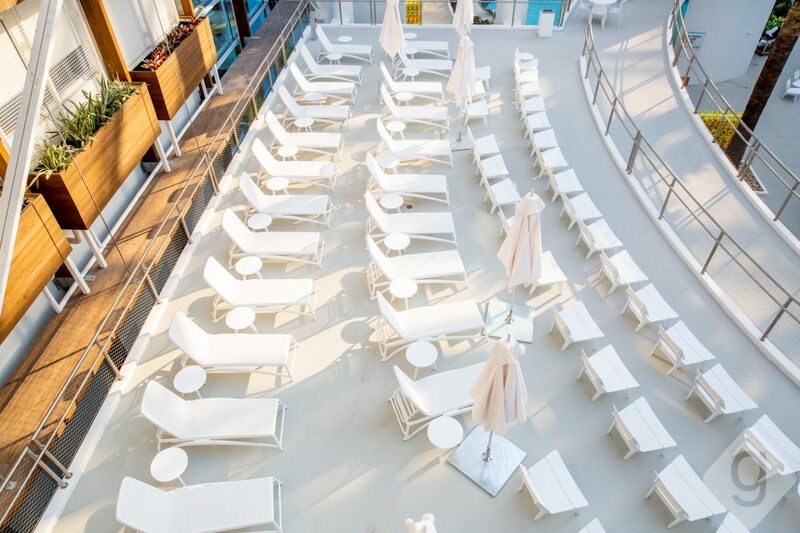 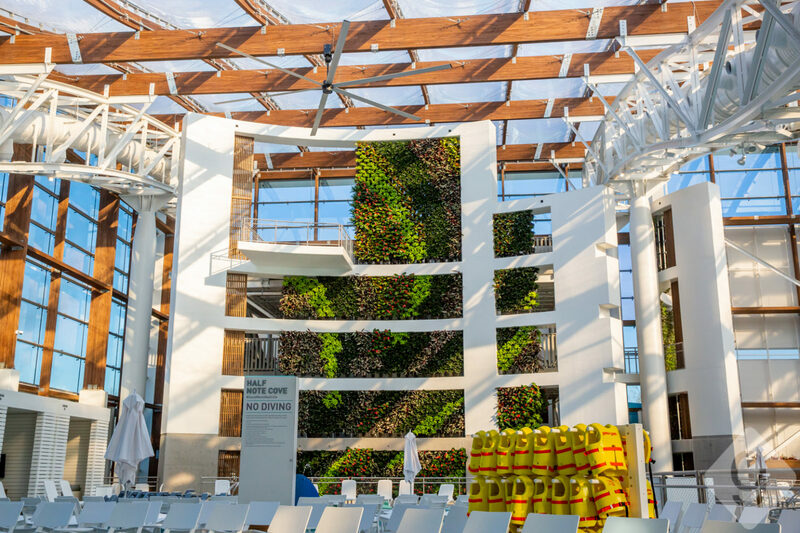 The unique roof even allows sun rays through, so don’t forget the sunscreen. 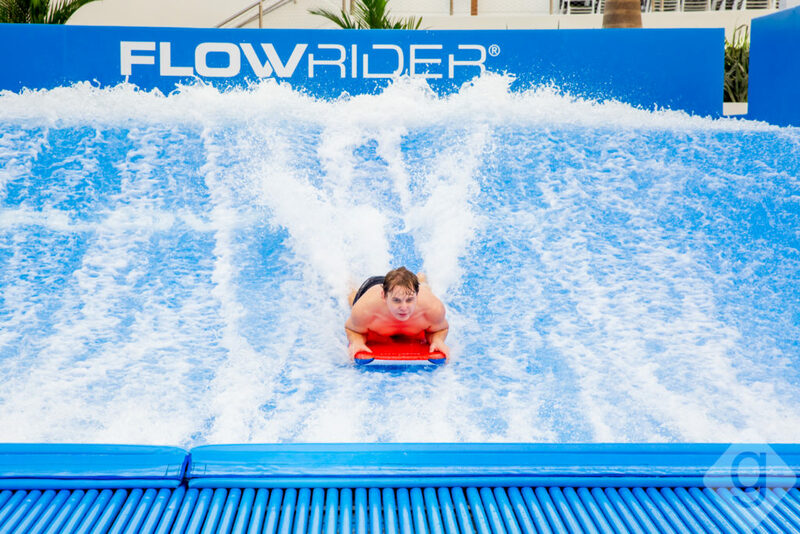 From a laid-back river to a thrilling wave ride to a mega group raft, there’s a little something for everyone. 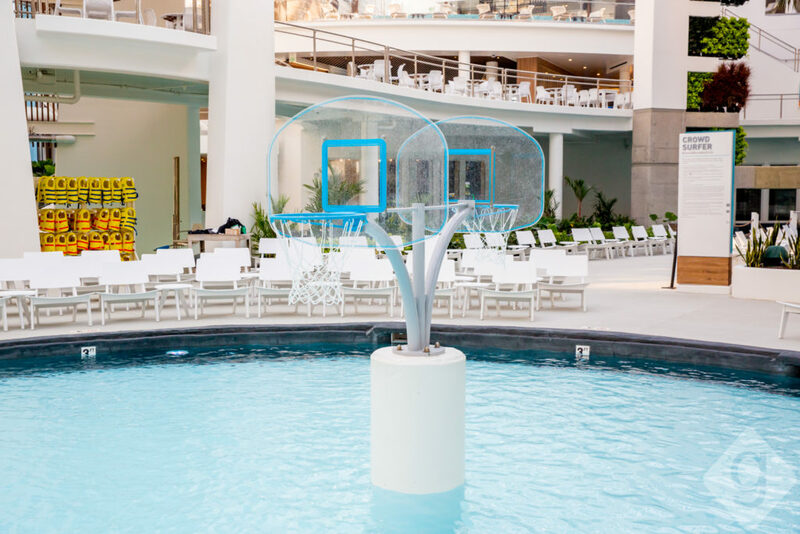 Make sure to jump in the human dryer before heading back to your room. 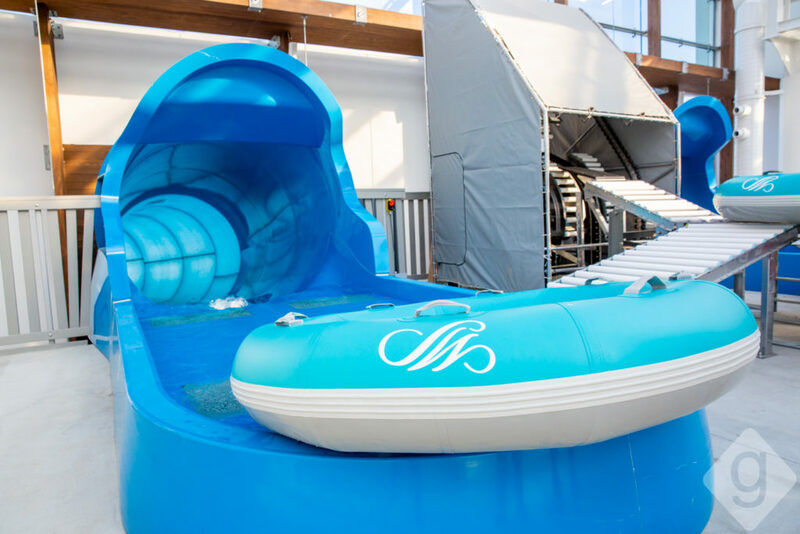 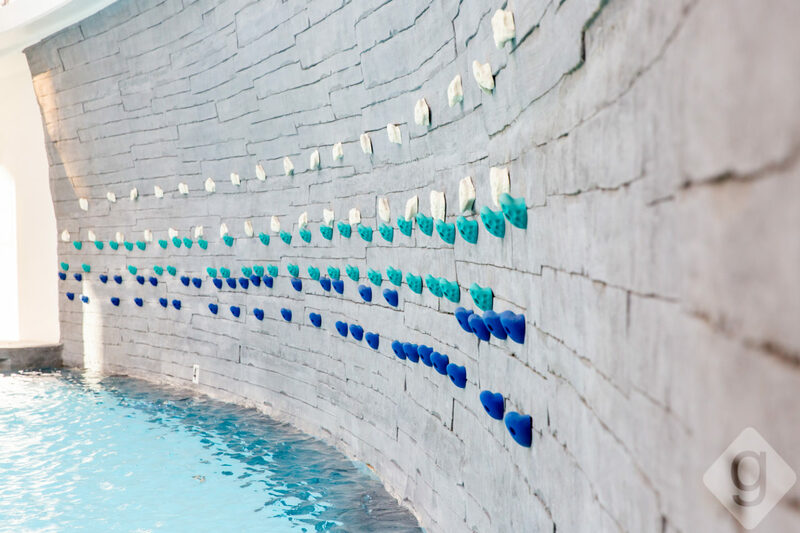 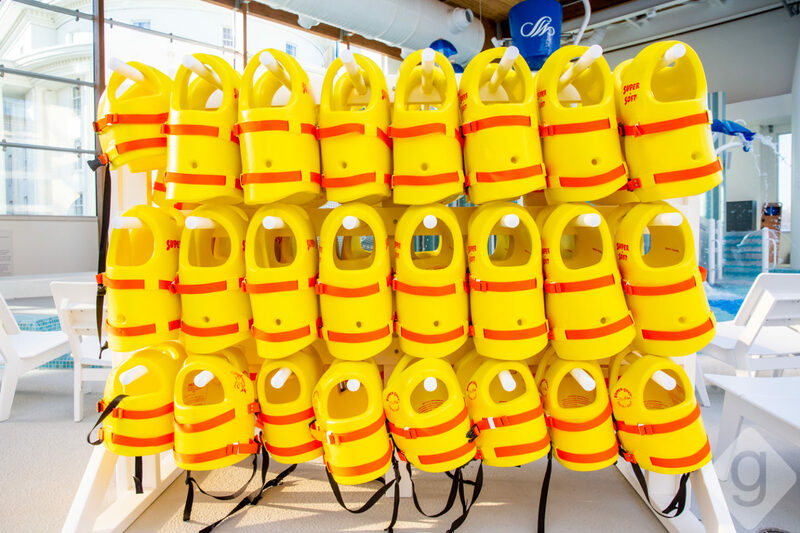 For a one-of-a-kind water adventure in Nashville, SoundWaves should be on your radar.